Happy Friday! Thank you so much for all of the lovely comments yesterday about menu planning and budgeting. I'm excited to dig in :) And now, thank you to all of you fabulous followers out in blogland! Thank you for taking the time to read my little blog and for all of your comments (I love reading each of your comments :)). if i win, i'd love the Xmas Art Journal ! I follow you in my google reader! Hi! I have been following for a while through my Google Reader... Nice that you have reached such a number of followers! Thanks for the giveaway.. I think the Knifty Knitter would be ideal.. you make it sound so easy to use. What a great giveaway on a great blog! I'd love an art journal! HUGE HUGE congrats on this achievement. I'd love to bring the Christmas art journal home with me, and you know I follow every bit you post. Love it. What a wonderful Christmas giveaway! I'd love a chance to win. Congratulations on over 500 followers! I would love to win the art journal! Thanks for the chance! You're in my google reader. 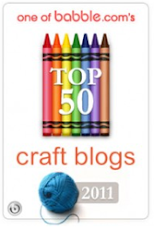 I'd love the Knifty Knitter (which I didn't know existed before I saw it on your blog). I knitted a scarf the old way and it forever! I could knit up a storm with these this fall/winter. What a nice giveaway! I'd love to join and would go for the Knifty Knitter. Congrats on 500 readers! I would love that knifty knitter! I'm seriously considering taking up crocheting or knitting and I think this would be a gret jump start! 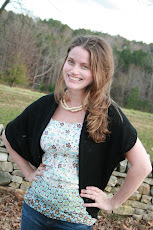 I've loved following your blog! you're so creative! I would love the Knifty Knitter! I definitely love the Xmas art journal!!! Your journals are the best. Thanks for your blog and for the give away. I subscribe with google reader! Love the art journal! i'm a follower! i'd love to win the knitter, but I don't know what the journal is, so I'm curious to know more about that. I've been following your blog for several weeks now and am super excited about upcoming grocery tips...I didn't get a chance to comment yesterday. Thanks for the chance to win. I follow you daily on google reader! You inspire me to let my creative juices flow! Great giveaway! I would love your 2009 Christmas Art Journal. Woohoo! That Knifty Knitter looks cool! hi! I follow you through bloglines (to which I'll say goodbye tomorrow, chuif) but I would really, really love the art journal!